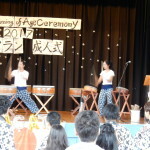 Auckland Coming of Age Ceremony 2017 was held on February 28. Young and older participants were welcomed with a big cookie at Mt Albert War Memorial Hall. 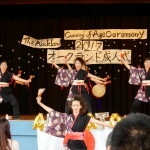 Speeches representing young ‘new adults’ and ‘older adults’ alternated with performances such as Yosakoi dance, music and drum performances. 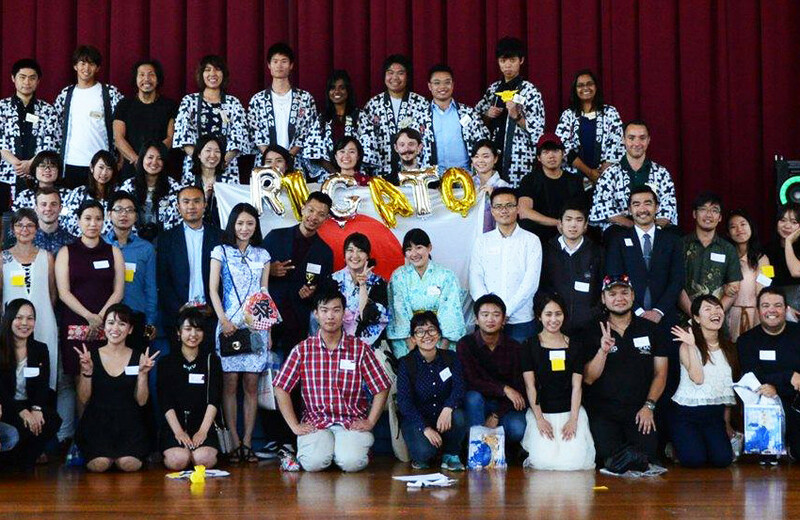 After a break for refreshments including sushi, rice cakes, fruits, and Japanese tea, they engaged with various activities including Japanese toys and group games. The event concluded with prize giving and a group photo. The highlight for me was the performance by Isomura Brothers. 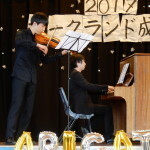 The young up-and-coming professional musicians played a couple of Japanese tunes, one traditional and the other contemporary, symbolizing youthful hope. Being the second year in Auckland this was a fairly small event, but I hope it will grow with each year.